As ‘Know you Numbers!’ week reaches its fifth day, we’d like to show our support to the national campaign. High blood pressure (or hypertension) can often lead to serious conditions including a stroke and a heart attack. Individuals most at risk are those aged 65+, who are overweight, do limited exercise, smoke, have a poor diet or have relatives with the condition. Blood pressure is a vital sign measurement that gives a reading of systolic pressure (heart pumping) over diastolic pressure (heart resting). If you are diagnosed with high blood pressure, you can make lifestyle changes and closely monitor it to keep it under control. According to NHS Choices, some simple steps to take include reducing dietary salts, increasing regular exercise levels, reducing alcohol consumption, smoking cessation and weight loss if necessary. 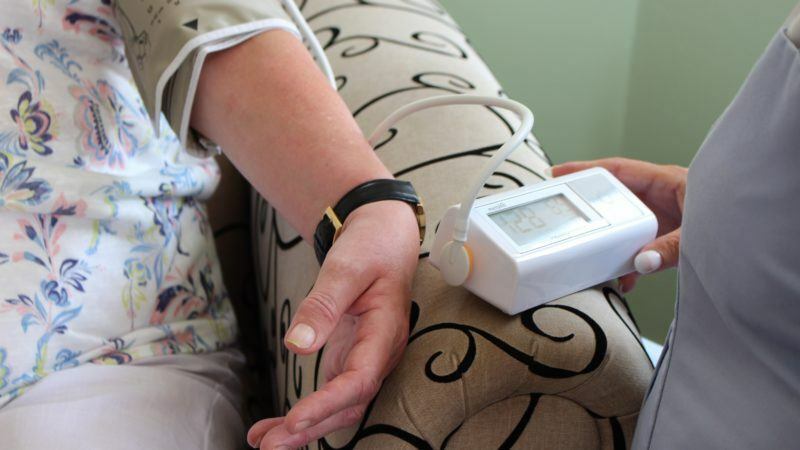 – You can easily test your blood pressure using a blood pressure monitor, or arrange a test with your GP, local pharmacy or at a free Pressure Station ran by Blood Pressure UK. – Lifesyle changes which can help control high blood pressure or prevent it from happening include reducing sale intake, increasing regular exercise, reducing alcohol consumption, smoking cessation and weight loss. Find out more about the national campaign at the Know your Numbers! week website or use the hashtag #KnowYourNumbers, and show your support by sharing this blog. You can also view our digital vital signs remote monitoring service, which enables the proactive monitoring of patients from their own home.